Conversational experiences for 1:1 customer engagement, at scale. We design, build and run conversational agents for your business. For commerce, customer service and customer engagement. Mobile messaging apps like Facebook Messenger, Telegram, Whatsapp, ... have on average more monthly users than social media. 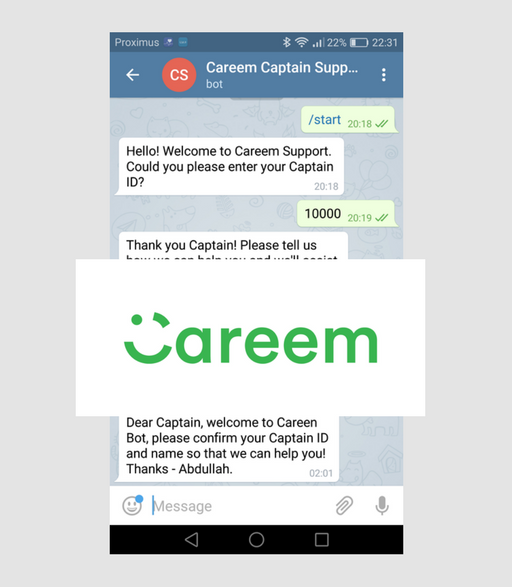 Careem, Middle East's ride-hailing service, uses our messaging solution to provide customer service on-the-go to 250.000 Captains (drivers) in 13 countries in the broader Middle East. Captains can simply use their messaging app to start a conversation with Careem. Fast, personal and on-the-go. Chatbots and voice assistants are turning e-commerce into a conversation. Your bots guide your customers and take their orders 24/7. Human experts join the conversation where needed. 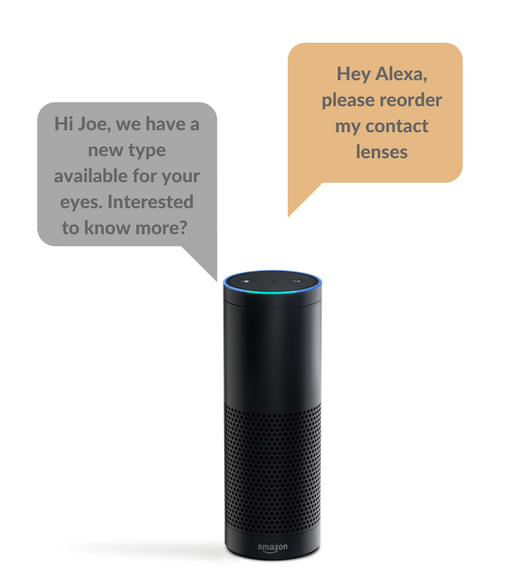 Conversational commerce is poised to change the way we shop, book and order. To build relationships with your customers you need to add value in every moment of truth. A smart usage of AI allows you to profile their needs better throughout their conversations with your business. Create new smart conversational experiences and improve your customer experience proactively. Conversational agents like chatbots and voicebots allow your business to reach beyond the standard interactions with your customers. Deeper customer engagement, at scale. Need help? 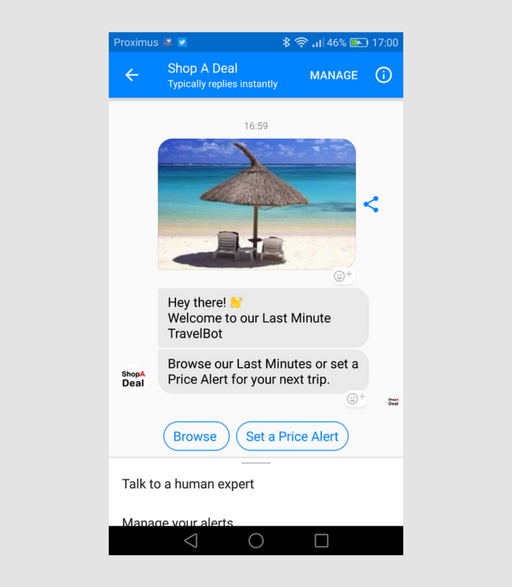 Start a conversation with us to discover the potential of conversational commerce for your business.